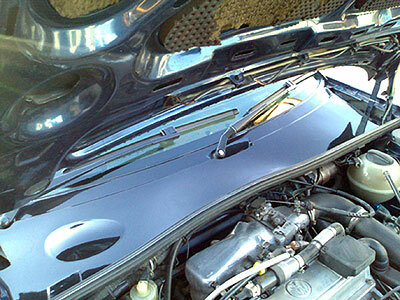 NEW For the VW Corrado - SWG Full Length Smooth Scuttle Panel. You are looking at another SWG exclusive ! The Corrado full length smooth scuttle panel, designed from scratch to replace the original (and now obsolete) 3 piece item. This unique item is a direct replacement and uses the existing fittings and original mounting locations to provide an O.E look product that can be easily fitted with no special tools. Fits ALL right-hand drive models inc VR6, G60. 16V and 8V etc. Click here to show all Corrado accessories.